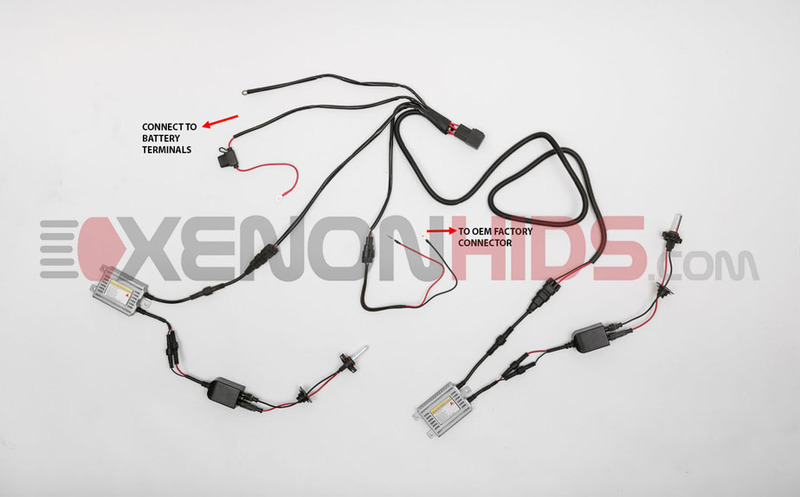 Below are the components included in your H1/H3/H16 Single Beam HID Conversion Kit with a Power Relay Harness. 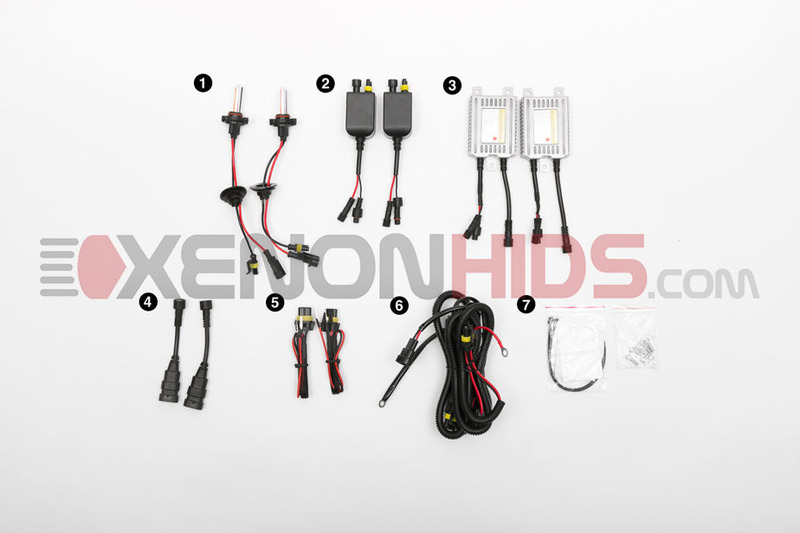 NOTE: This installation guide uses H16 HID bulbs and Galaxy Series 55w Canbus HID kit. Connect the round connector from the Ballasts to the Ballasts Adapters. Connect the female oval connector from Ballast Adapters to the male 2-pin connectors from the Power Relay Harness. Secure the positive and negative wires to the Battery. Connect the female oval connector from the Power Relay Harness to the Factory Harness Adapter. Insert the pins from the Factory Harness Adapter to your vehicle's OEM stock connector. NOTE: Only One (1) side of your vehicle's OEM stock connector will be connected to the Power Relay Harness. The other OEM stock connector will not be connected to anything. NOTE: The Factory Harness Adapter must be installed in this exact configuration for the HID conversion kit to function correctly. You will only use one Factory Harness Adapter with the Power Relay Harness.